When it opened in the summer of 2014, Cartoon network Amazone waterpark was billed as the largest water based theme park in South East Asia. 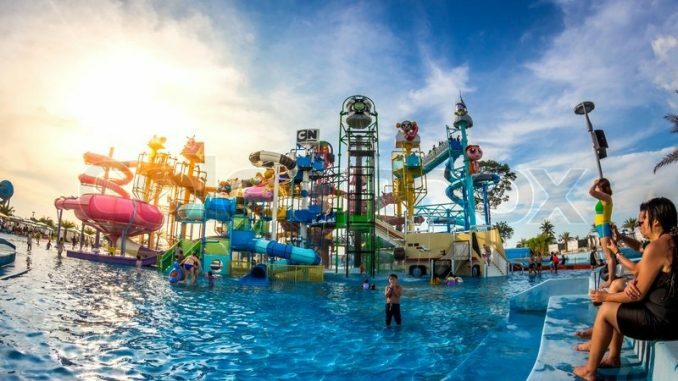 Located approximately 20 km to the south of Pattaya, the waterpark is a little out of town especially for those that don’t have access to their own vehicle whilst here. For those that are driving, all you need to do is head south along Sukhumvit for approximately 20-30 mins (depending on traffic) and it’s huge road side presence will be obvious on your right hand side. For those without vehicle access then you could take the white baht bus which runs along Sukhumvit all day. Or there are always many tour operators running here, tickets can be purchased in advance at any tour office or hotel front desk. Cartoon network is set on a large piece of land which has been divided in to 10 entertainment zones, each with it’s own theme based around popular children’s shows from the TV network. With famous characters such as the powerpuff girls, Ben 10 and Darwin. These 10 zones cleverly divide the park into suitable areas for different age groups, meaning families with children of all ages can enjoy the park safely. The younger children among you will absolutely love the “Cartoonival” section, which is full with over 150 different water features including slides, fountains, tubes and more. Designed to encourage a very wet and fun time it’s often like one giant water fight. The omniverse section of the waterpark is designed to thrill, packed with high speed slides and roller coaster style fun, it will have twisting, turning and experiencing G-Forces, all before dumping you in the water at the end. Safety is paramount here at the Cartoon network Amazone waterpark. All slides and attractions are constantly monitored by highly trained and experienced life guards. And the all attractions have been built to US safety standards, after all the park is owned by a US company. This is a full day attraction that will keep the whole family entertained for hours. Now usually with this type of attraction we would recommend bringing plenty of refreshments. However there is no need here as they will be taken from you at the entrance. Instead visitors are encouraged to purchase refreshments once inside the park. Of course these will cost more than if you buy them outside but they are not too overpriced. If all this sounds a little too active, don’t worry there are plenty of relaxation zones inside where you can chill on a lounger or have a refreshing dip in a pool. There is a food court here offering Thai and international cuisine, as well as many smaller refreshment stalls dotted around the park where you can buy a nice cooling drink. The park offers you a waterproof credit card wristband, which you can pre load with cash at the beginning of the day and then use to make purchases throughout the day. Do not overload these, then can always be added to throughout the day. When you leave there is no refund for unspent money. The waterpark is open daily from 10:00 until 18:00. Ticket prices are 1590thb for and Adult and 1090thb for a child. Discounted family passes are available that include lunch. 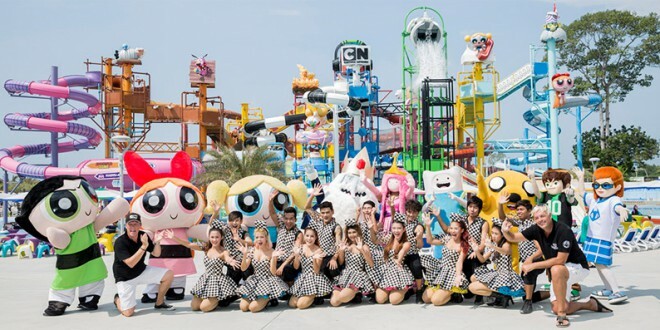 Overall the Cartoon Network Amazone waterpark Pattaya is a great family attraction that keep the whole fmaily occupied for an entire. It isn’t cheap but is great fun and the kids will absolutely love it here.